Each of the thirty-two chapters provides: an introduction to the subject; an overview of the history of the topic; an analysis of the main current and critical issues; a section with recommendations for practice, and a discussion of possible future trajectory of the subject. This handbook includes chapters written by some of the leading stylistics scholars in the world today, including Jean Boase-Beier, Joe Bray, Michael Burke, Beatrix Busse, Ronald Carter, Billy Clark, Barbara Dancygier, Catherine Emmott, Charles Forceville, Margaret Freeman, Christiana Gregoriou, Geoff Hall, Patrick Colm Hogan, Lesley Jeffries, Marina Lambrou, Michaela Mahlberg, Rocio Montoro, Nina Nørgaard, Dan Shen, Michael Toolan and Sonia Zyngier. 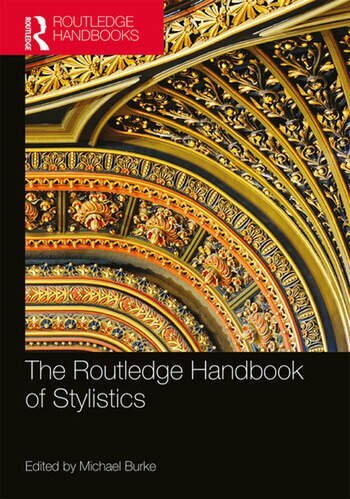 The Routledge Handbook of Stylistics is essential reading for researchers, postgraduates and undergraduate students working in this area. Michael Burke is Professor of Rhetoric at University College Roosevelt (Utrecht University). His books include Literary Reading Cognition and Emotion (2011) and Pedagogical Stylistics (eds. Burke et al, 2012). He is a former Chair of the International Poetics and Linguistics Association (PALA).